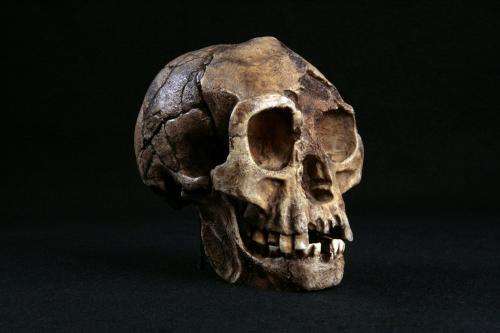 Those of a more technical bent will recall that the "hobbit" was given the scientific name, Homo floresiensis. What actually was found was a sample of bones and stone tools. These things did not have specimen labels on them bearing any formal scientific name, and nothing about them could reasonably be reconstructed to look anything like the brave little beings at the centre of J.R.R. Tolkien's masterpiece of fantasy literature, The Hobbit. Immediately after the discovery's announcement in 2004, biological anthropologists, who were familiar with the mechanisms of human evolution and experienced in the study of diseases from skeletal remains of ancient people, realised that the skeleton dating to a time when anatomically modern humans lived in Indonesia displayed signs of a developmental syndrome. Regarding the bones themselves, it always is difficult to make a diagnosis of disease from ancient remains because they are incomplete. Medical laboratory tests can't be run and, of course, there is no way to question the patient about symptoms. Our group's additional early insight from late 2004 was that the skull of LB1 was asymmetrical in several ways, particularly in its face. Although we published measurements of the left-right facial disparities, curiously these data were denied or dismissed for several years – but they are matters of observation, not interpretation. Anyone can see them. Members of our group sometimes are referred to as "Hobbit deniers". 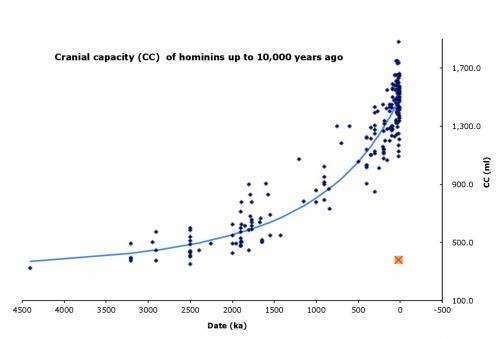 We think that this controversy has been perpetuated by "data deniers". Down Syndrome results from duplication of some genetic material and produces small brain and short stature. It affects childhood development, causing "atavisms", with some bodily characteristics resembling earlier stages of evolution. No wonder archaeologists were confused. The researchers who made the extraordinary claims of the new species's discovery, and the science writers who spread them, overlooked an important rule central to scientific method: extraordinary claims require extraordinary evidence.